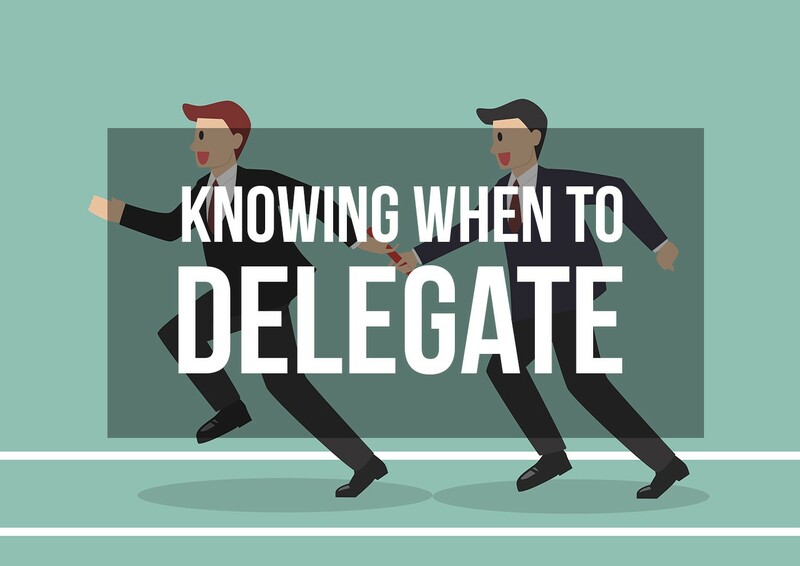 Delegating can often lead to even more stress, but you have to learn when to let go. I appreciate those people that have their head on a swivel, see something that needs to be taken care of, and just go knock it out. Everyone wants a doer on their team but there is a tipping point where it all becomes too much. For everyone that is a leader manager business owner or entrepreneur, you know how that tipping point feels. It is stressful, keeps you up at night and on edge all the time. But what is funny is that, delegating stresses you out even more. It stresses you out because you’re worried it’s not going to get done right, not on time, or not at all. So, all that worry becomes more stressful than the workload itself. You’ll just say to yourself: “if you want it done right, you have to do it yourself” and you scurry away in a rampage to go get it done. The problem is, that isn’t helping you, the business or the team your trying to build up. Don’t delegate the things that you do best! If you have the secret sauce to something, don’t put that on someone else. Delegate the things that eat up your time, that others can learn to do quickly. But never delegate the things in your business or life that you do better than everyone else. And I mean, things of value that you do world class, not non-value added abilities that you’re awesome at. Now that you have freed up some time, are less stressed, and have a slightly clearer mind, you can now go do those things that you do better than everyone else. And now you can do even more of it, at an even higher level because you’re not dragged with the burden or a massive work load or constantly concerning yourself with someone else screwing up. You cannot be a control freak over details that won’t sink the ship. Understand you’re bringing others up around you as a mentor and coach along the way. Letting go a little bit will feel liberating. The results you will witness from the higher level of work you can do with less stress will be visual, for everyone to see. Never delegate the craft you mastered, but learn to let go of all the other things eating up the clock.